Unexpected business disruptions and income losses can be triggered by many events: by large-scale disasters - hurricanes, floods, earthquakes, explosions - but also by relatively minor happenings such as a local blackout, computer outages, even something as simple as a street closing. What's more, in today's global economy, major business interruptions can be caused by events far away - a breakdown in goods production in Taiwan or a power failure in India. 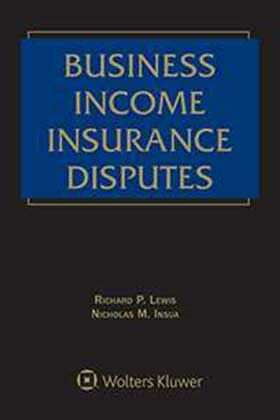 Business Income Insurance Disputes, Second Edition helps you prepare for any eventuality. It covers everything from the basics of first-party property insurance and case law which impacts time-element coverages - to practical strategies for dealing with today's most complex business income insurance law issues and questions.